Osteoporosis is a disease where bone tissue thins and its density decreases over time. This condition leads to an increased risk of bone fracture. The World Health Organization (WHO) defines Osteoporosis as a bone mineral density that is 2.5 standard deviations or more below the mean peak bone mass (average of young, healthy adults) as measured by DXA; the term "established osteoporosis" includes the presence of a fragility fracture. Drinking a moderate amount of alcohol as part of a healthy lifestyle may benefit women's bone health, lowering their risk of developing osteoporosis. A new study assessed the effects of alcohol withdrawal on bone turnover in postmenopausal women who drank one or two drinks per day several times a week. Researchers at Oregon State University measured a significant increase in blood markers of bone turnover in women after they stopped drinking for just two weeks. In the current study, published online July 11 in the journal Menopause, researchers in OSU's Skeletal Biology Laboratory studied 40 early postmenopausal women who regularly had one or two drinks a day, were not on any hormone replacement therapies, and had no history of osteoporosis-related fractures. "Drinking moderately as part of a healthy lifestyle that includes a good diet and exercise may be beneficial for bone health, especially in postmenopausal women," said Urszula Iwaniec, associate professor in the College of Public Health and Human Sciences at OSU and one of the study's authors. "After less than 24 hours to see such a measurable effect was really unexpected." Iwaniec, OSU's Skeletal Biology Laboratory director Russell Turner, and researcher Gianni Maddalozzo assisted OSU alumna Jill Marrone with the study, which was Marrone's master's thesis. "Everyone loses bone as they age, but not everyone develops osteoporosis," Turner said. 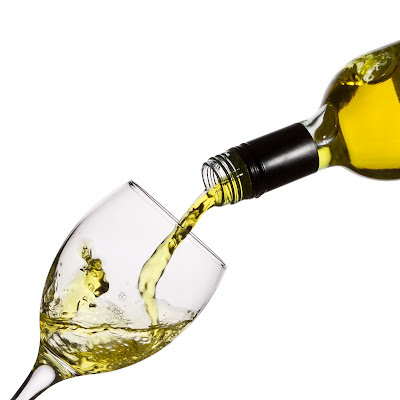 "Being able to identify factors, such as moderate alcohol intake, that influence bone health will help people make informed lifestyle choices."